TROY — Tom Hutson has been recently named as one of four regional vice presidents in Ohio by AIM Media Midwest. 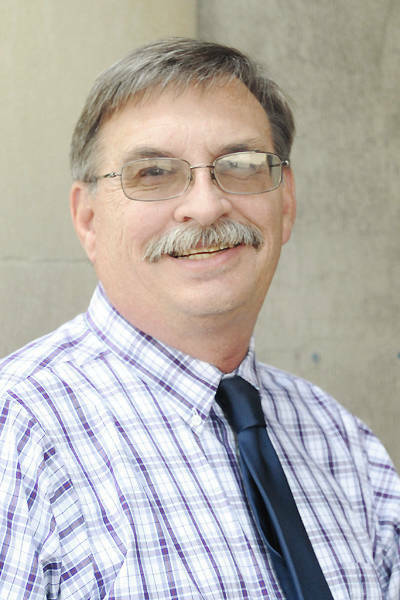 As Group Publisher his new duties include oversight of The Sidney Daily News, Troy Daily News, Piqua Daily Call, Greenville Daily Advocate, Eaton Register Herald, Englewood Independent, Huber Heights Courier, and Vandalia Drummer News. In addition to responsibility for news and editorial, print and digital advertising sales, and other business functions, Hutson will now have direct responsibility for circulation management and audience development within the region. The promotion comes following the sale of Civitas Media’s Ohio newspapers to AIM Media Midwest. Duties and responsibilities are being realigned to streamline our organization, foster opportunities for all of us to work more closely together, enhance open communications among employees, and allow all of us to do what we all enjoy most: publishing strong, respected, and responsive local community newspapers that are the primary and leading source of information in their respective markets. Since 2009, Hutson had served as publisher for the Lake Erie group of newspapers. Based in Oberlin, he oversaw the Bellevue Gazette, Clyde Enterprise, Weekly Trader, Ottawa County Exponent, Peninsula News, Amherst News-Times, Oberlin News-Tribune, Wellington Enterprise, Lorain County Community Guide, Fulton County Expositor, Swanton Enterprise, and Heartland Trader. He has been in the newspaper industry for 42 years and managed or owned several newspapers throughout the United States.